Phew. They’re back. Oh lord yes, they’re back. 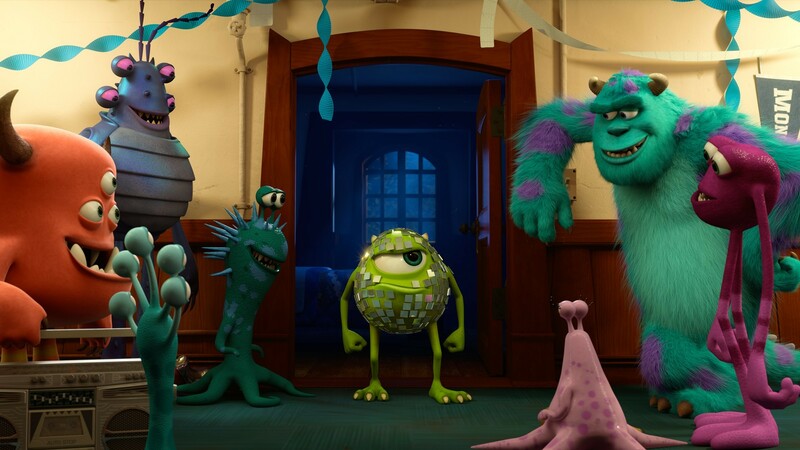 Monsters University doesn’t exceed the quality of its predecessor, but mostly because it isn’t trying to. For this second outing, Pixar has efficiently narrowed their scope, while applying the same dedication to world-building and character development that’s made them who they are. After two less than stellar outings (though I only felt Cars 2 was outright bad), it’s an extremely welcome return to form. As a prequel, University does many things right. 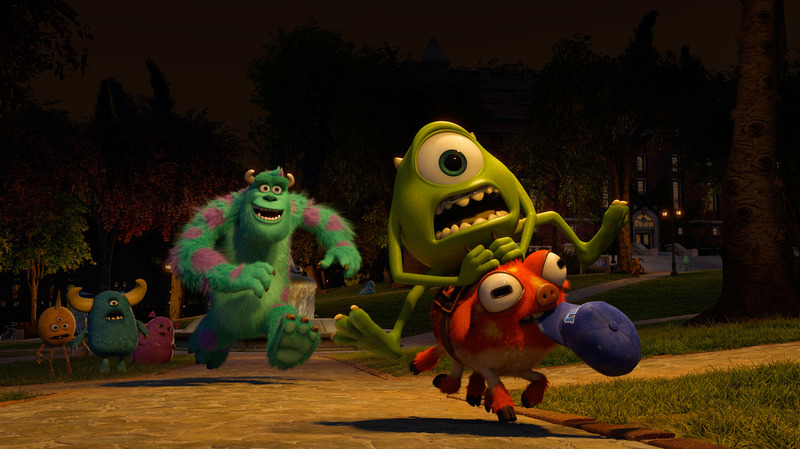 Foremost, Mike Wasowski is the protagonist, rather than James P. “Sully” Sullivan. Cars 2 actually did something similar by giving Mater greater focus, but unlike Mater, Mike is actually a likable, three-dimensional character who exhibits personal growth. Indeed, University is built on Mike’s journey, even more so than it is on Mike and Sully’s budding friendship, which is a major contributor to University feeling like its own film. We’ve already seen Sully’s journey in Inc., so focusing on Mike makes for a film that isn’t just a retread of its predecessor. This isn’t to say Sully doesn’t have growth as well; he does, just as Mike did in Inc. But letting Mike have his story means the film is more than just “Hey, how did Mike and Sully become friends?” Monsters University is not an unnecessary follow-up; it has its own reason to exist. In fact, Monsters University ends up being so independent from its predecessor that I wouldn’t even consider Monsters, Inc. required viewing before seeing University. Callbacks to the original are there and they’re awesome, but they’re surprisingly sparse. The prequel expends far more effort crafting its own story than to paying tribute to the original. So much attention is given to the prequel, however, that the film occasionally skirts the edge of negating the logic of the previous film, particularly in terms of the rules of interaction with the human world. These oversights are few and easily forgivable, though, because it shows Pixar was concerned with making a good film first, and a good prequel second. Among sequels/prequels/continuations of franchises, University also does something atypical: rather than heightening the stakes, it lowers them. Monsters, Inc. put a lost child in significant danger, and forced its main character to realize that his entire world was built at the expense of children. It was presented in a G-rated context certainly, but that’s the crux of the film when you get right down to it. For a prequel to have equally high stakes is improbable at best, so Pixar has wisely scaled things down. University is about having a dream and being faced with the prospect that achieving your goals may not be possible. There isn’t as much danger in that dilemma, but it’s still not an easy subject to tackle. How many “kids’ movies”, particularly ones originating from the House of Mouse, have the message that “when you wish upon a star,” it actually does “make a difference who you are?” It’s a gutsy statement to make, and guts is exactly what I like about this film. This theme also fits perfectly with being in college, a time when everyone is trying to figure themselves out, particularly in terms of their careers. Thankfully, from move-in day officiated by chipper RAs, to competing fraternities, to the banality of general education courses, University captures the college atmosphere with accuracy, enthusiasm, and plenty of Monsters twists. But because the film has such a solid groundwork, the college setting feels like a natural extension of the story and never like a gimmick. However, an element towards the end regarding the significance of college surprised me, and I’m curious to see how people will react to it once the film comes out. Do I even need to say anything about the animation in this day and age? It’s Pixar, so of course it’s stellar. My screening was in 2D so I can’t comment on the quality of the 3D, though past Pixar films have been overly conservative with the format. The cast is also top-notch, not that I expected anything less from them. Billy Crystal and John Goodman may as well have recorded their lines for Monsters, Inc. last week for how comparable they sound, with Crystal in particular seamlessly recreating some of Mike’s characteristic screams. Newcomers to the series also impress, with standouts such as Sean Hayes, Peter Sohn, Charlie Day, Aubrey Plaza, Tyler Labine, Helen Mirren, and [my doppelgänger] Nathan Fillion. 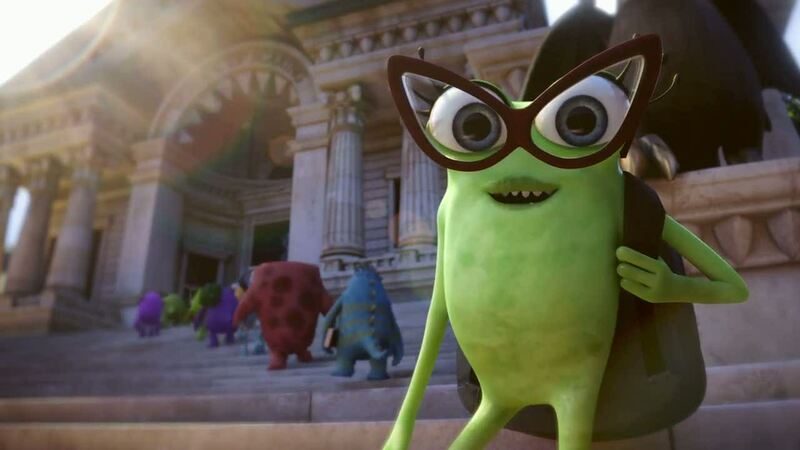 In sum, there’s almost a meta-narrative going on with Monsters University. Just as Mike is faced with his shortcomings and has to learn to appreciate where his talents do lie, Monsters University has accepted that it can’t be Monsters, Inc., and has chosen instead to be comfortable in its own skin. That decision makes for a delightful film with wonderful atmosphere, great character development, and a big heart; or, in other words, your standard top-shelf Pixar film. Monsters University is a worthy addition to the Pixar pantheon, and a more than welcome return to form for the studio. 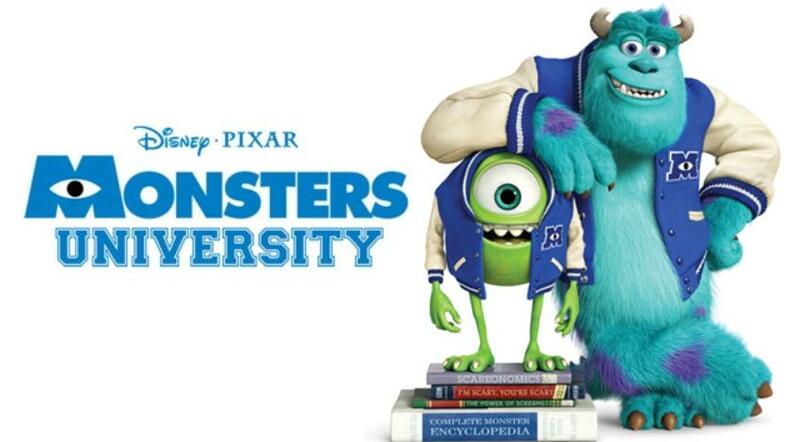 A Note – I had the good fortune to catch a advance screening of Monsters University. The version was I saw was said to be 99% complete, save for some music editing and end credits. It was also missing The Blue Umbrella, the short that will accompany the film in theaters.